Following the swearing in of Josh Shapiro as Pennsylvania Attorney General, Montgomery County’s Court of Common Pleas unanimously elected Ken Lawrence to the Board of Commissioners. Lawrence will finish out Shapiro’s term that ends in 2019. He is currently Temple University’s Vice President for Alumni Affairs. He has served Montgomery County before as a county representative to SEPTA in 2011 and was reappointed unanimously in 2016. He also served on the Shapiro-Richards transition in 2012 on the Transportation and Infrastructure sub-committee. He is the first African-American Commissioner in the history of Montgomery County. “Ken has deep ties and a long history of service to the Montgomery County community. I am certain his unique blend of public and private sector experience, his collaborative approach to problem solving, and his personal commitment to the highest ethical standards will make him an outstanding governing partner with Commissioner Gale and myself,” Board Chair Valerie Arkoosh said of Lawrence’s appointment. “Ken Lawrence and I are both graduates of Temple University and residents of Plymouth Township; so we have that in common. However, we do not share the same political ideology,” Republican Commissioner Joe Gale told the Norristown Times Herald. Shapiro and Leslie Richards ushered in the first ever Democratic majority in the Montgomery County Board of Commissioners when he was elected in 2011, part of the years-long trend of Philadelphia’s suburbs growing more blue. Richards was appointed Secretary of PennDOT in 2015. Castor ran for Pennsylvania Attorney General in 2004. Jon Fox served as Commissioner before his successful run for Congress in 1994. Joe Hoeffel served as a Commissioner after his tenure in Congress and 2004 run for U.S. Senate. Jim Matthews was a candidate for Lieutenant Governor during his second term as Commissioner in 2006. It’s hard to find knowledgeable people for this topic, but you seem like you know what you’re talking about! But will they support seniorCare for me? @Sorry Buddy: Josh told me to tell you to go get your shine box. 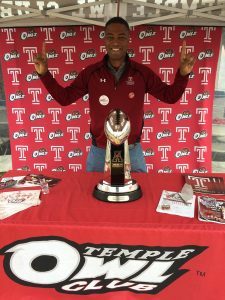 Hey Joe – Temple Ambler doesn’t really count. Your lowly degree that you try to pump up and pretend isn’t from a glorified community college can’t compare to someone like Ken Lawrence who has excelled at a career of bipartisanship and getting things done. You could learn a thing or two from him instead of being a whiney crybaby and trying to bring the pro-life issue into an office that has zero to do with legislation. And to the person below saying Montco Rs should try and take back the courthouse with Gale on the ticket – LOL.if they ever had a chance, it certainly wouldn’t be with that Trump fangirl. People wake up they are all bought we have no say who is in there. It doesn’t matter. I see influence from Soros here. I have read Soros has bought these people in Montgomery county. We need to fight back. I want to say congrats to you Ken Lawrence is to be the next Montgomery County Commissioner and I will support you is to run for a full term in 2019.
we all remember Ken from his days representing Temple in Harrisburg. He did a great job for them and though he is a Democrat, has good GOP ties. This was a good choice for Akoosh and Montco. Why should Montco republicans be content with electing only a Minority commissioner just because that was the strategy of former MCRC chairman(and now Josh Shapiro employee) Mike Vereb? Does Bill Donnelly have a job lined up with Val Arkoosh when she moves up the ladder too? With a viable running mate, Joe Gale and the Republicans can take back the courthouse. Joe Gale: marginalizing himself even further on day one. Republicans could get rid of him and elect a conservative minority commissioner who at least acts like he or she is trying to make a difference. Gale is a me first politician probably plotting his next step up the ladder already.